Unwanted guests are never fun, especially when you can’t ask them to leave. 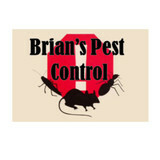 Luckily, North Prairie pest control companies have no problem kicking them out. Whether there’s a rodent in your basement or insects in the attic, call your local North Prairie exterminator to take care of them — do not try to wrangle them out yourself! 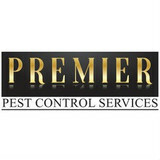 Not sure which type of home pest control service in North Prairie, WI can tackle your issue? Read profiles and ask about their past experiences to get a good idea. The Bug Lady wants to know "What's Bugging YOU??" Ants, house crickets, cockroaches, mice and spiders are the biggest problem in the Rock River Valley. Box Elder bugs are more of a fall pest, but they emerge in the spring and can show up on warm, sunny areas like your garage doors or the side of your house. Cluster flies also become active in the spring, while they pose no health hazard, they are a nuisance. Carpenter ants and termites can cause structural damage to your home. The ants excavate wood and create tunnels, the termites use wood for food. Both are in the Rock River Valley and if your neighbor has them, you probably do, too. It's important for property owners to stay vigilant about the threats that pests can pose. An infestation can not only impact your health and peace of mind, it can result in significant damage that may even lower the overall value of your home. 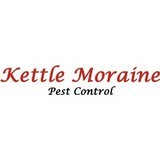 That's why the highly qualified and experienced team at Kettle Moraine Pest Control takes pride in our comprehensive pest and rodent control services. 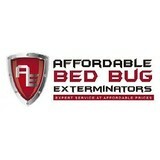 We'll make sure that pests leave you and your property alone!